Today’s guest post comes to us via Erik Bullen of MageMail. Have you been having trouble marketing your music? The problem is there are a lot of experts out there talking about social media, and not enough covering the topic of email marketing. If you aren’t convinced, read on and you’ll find out why email is still relevant and important. If you’d like to contribute a guest post of your own, please peruse our guidelines. With that out of the way, here’s Erik. Trying to find the line between passion and business is never easy, particularly in the ultra-competitive music industry. You might have a brilliant voice, an uber-talented guitarist or be in a great band – but how do you get your music out there? Social media has its reach and publicity, and by all means you should keep putting your music on there, but how can you get to the key people, the influencers and the loyal fans? With 4 billion accounts (and counting), email marketing is making a comeback, even though it never truly went away. 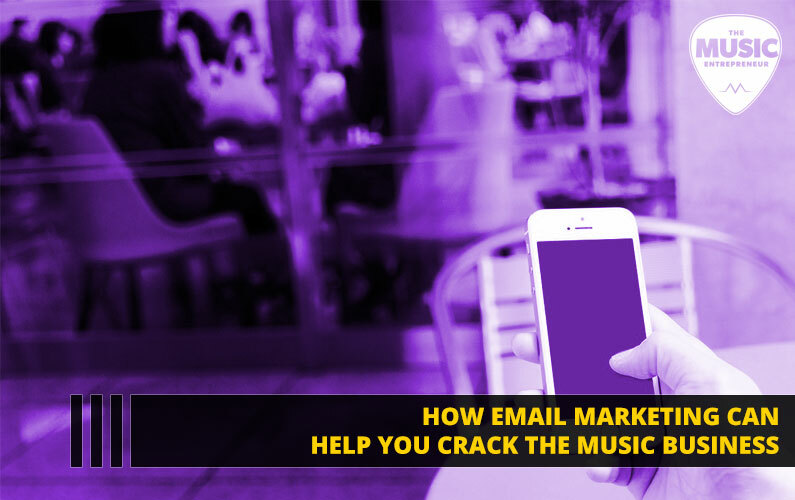 Emails still give you the opportunity to directly communicate with your audience, and smart marketers are coming up with strategies and tools to unleash the full power of email marketing. We’ve come up with an infographic taking you through some of the key steps you need to ensure you reach and then engage with your audience. Personalization: Why you need to make your email personal and how to do it. Mobilize: Ensuring your email is mobile and tablet friendly. Testing: How to monitor and test different emails for effectiveness. Email Lists: How to grow your email list and to get the most out of it. Remember, your email list has given you permission to send them emails, so they are interested in what you have to offer. The average ROI for emails is $44 for every $1 spent, unrivaled by any other form of marketing. Why not use this infographic to crack the music business?